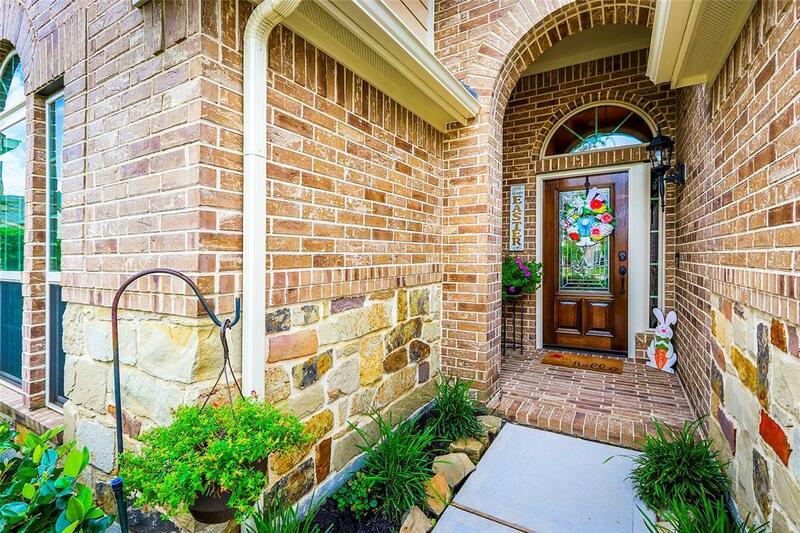 Beautifully landscaped home w/3 car garage on quiet cul-de-sac! 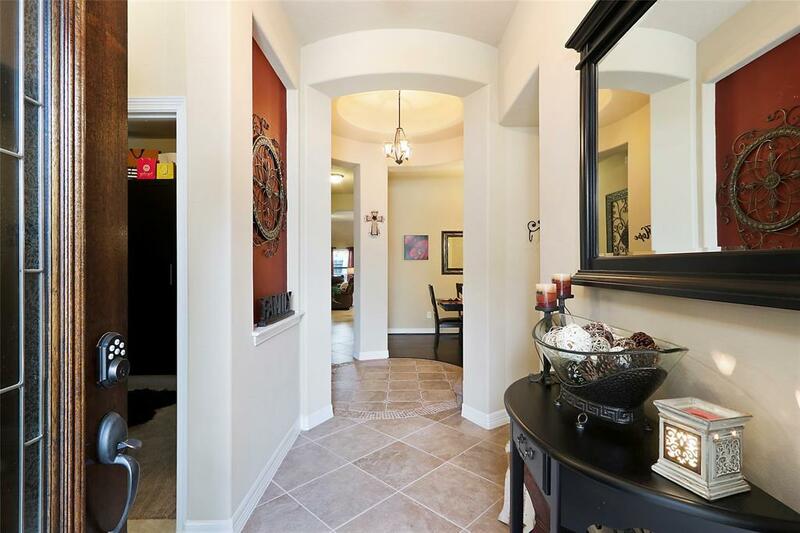 Stunning foyer w/ coffered ceilings & amazing rotunda! Perfect for entertaining & designed for energy efficiency w/a certified HERS rating of 61. Upstairs features game room, wet bar, 1/2 bath & media room equipped w/Hi-def screen & projector. Formal dining room & study both w/ hardwood floors. Kitchen offers open concept, 42 cabinets, granite counter tops w/ eye catching backsplash. Spacious mstr w/ sitting area & mstr bth w/ split dual vanities, seamless shower w/ bench. Builder modified floor plan to add sqft to living area & master bringing sqft to 2723. Oversize back yard w/covered patio, TV, & roll down sun shades! 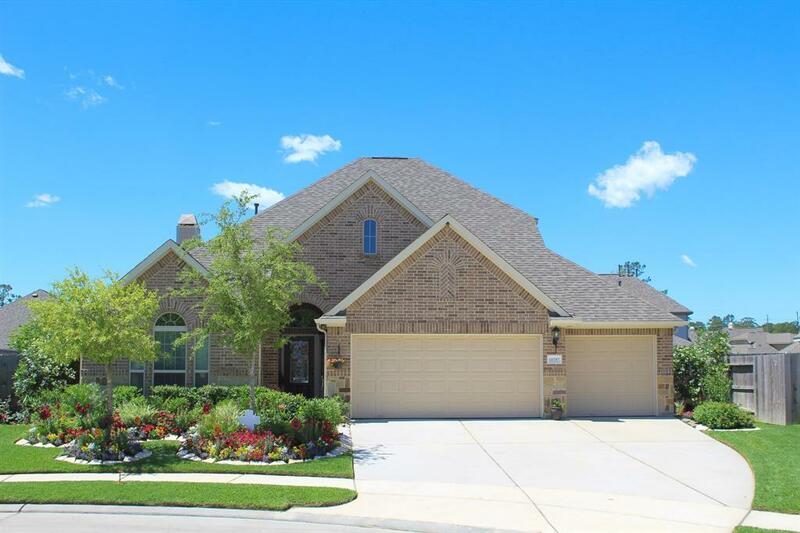 Sprinkler system w/ separate irrigation meter, 4K security system, Fireplace & more. NO FLOODING!